Christmas: the very word evokes warm, familiar memories. The smell of Grandma’s cinnamon cookies, the handmade ornaments that deck the tree—much of the holiday’s joy springs from well-worn traditions and past celebrations. But how do you embrace the season when nothing is familiar? 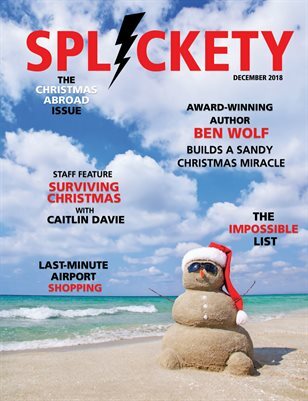 From frozen Siberia to sunny Costa Rica, a glistening ice hotel to an endless red-eye flight, this issue explores the heartaches and delights of an abnormal Christmas season. Join our protagonists as they seek comfort on a lonely Christmas morning or use what’s at hand to celebrate in a new way. Who knows? Perhaps a chance encounter with a stranger or a family member will unearth holiday joy that would never have been found at home.